Apply for the IHE DELFT Rotary Scholarship for Water and Sanitation 2019 in Netherlands. The strategic partnership between The Rotary Foundation (TRF) and IHE Delft Institute for Water Education aims to tackle the world’s water and sanitation crisis by increasing the number of trained professionals to devise, plan, and implement solutions in developing and emerging countries. Through this partnership, a limited number of scholarships are awarded annually for graduate students at IHE Delft Institute for Water Education’s campus in the Netherlands. These scholarships are designed to promote long-term productive relationships between Rotarians and highly skilled water and sanitation professionals in their communities. Rotarians interview and select from local candidates who have already been admitted to one of IHE Delft Institute for Water Education’s eligible 18-month Master of Science degree programs. Rotary is an international organization of business, professional, and community leaders who provide humanitarian service and help to build goodwill and peace in the world. In 34,000-plus Rotary clubs, 1.2 million members volunteer their expertise, time, and funds to support local and international service projects. Recipients of this scholarship will benefit from the support they receive through regular contact with sponsor Rotarians from their home country and the opportunity to interact with Rotarians in the Netherlands. Rotary alumni constitute an extensive network of Rotary scholarship recipients and Rotarians worldwide. Becoming involved with a local Rotary club and the alumni association allows scholars to stay connected to Rotary’s global community and resources. IHE Delft strives to strengthen the programmes of universities and research institutes as well as the knowledge and capacity base of ministries and other water sector organizations in Africa, South-America, and Asia/Pacific. The local Rotary Club is anticipated to financially contribute to the Global Grant with at least $1,500 and/or to secure DDF -funds in their district of at least $3,300, as a demonstration of commitment to the student. The total cost of each scholarship is $50,000. Students admitted to IHE Delft Institute for Water Education’s eligible programs can be nominated by a local Rotary Club in their home community by submitting the application form for a scholarship to the Rotary/IHE Delft committee in the Netherlands, together with the student’s resume and the IHE Delft admission letter. Only fully completed application forms submitted by the sponsoring Rotary Club will be considered. Only specializations of the following IHE Delft MSc programs are eligible for a 2019-2021 Rotary Scholarship: Urban Water and Sanitation, Water Management and Governance, Water Science and Engineering. 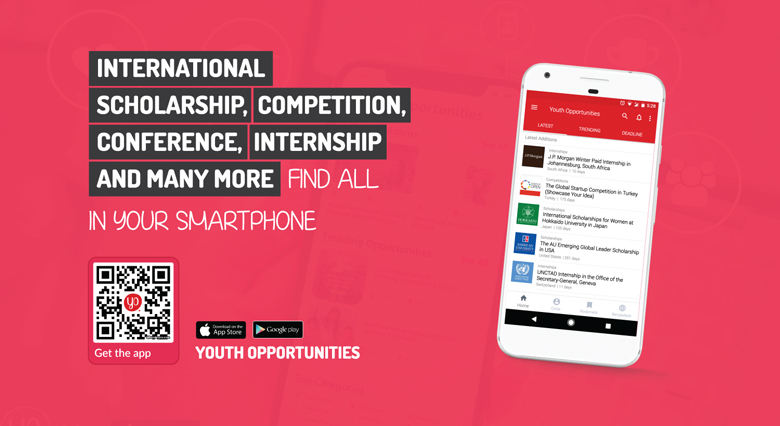 Joint specializations of these programmes are not eligible. The deadline for applying for admission to one of the IHE eligible MSc programs is 1 April 2019 and for submitting Rotary-scholarship applications is 15 April 2019. Any application forms submitted after this date will not be considered. Use Club Finder on Rotary’s website to find the Rotary club or district nearest to where you live or work. Choose the Rotary club or district to which you will send your application. 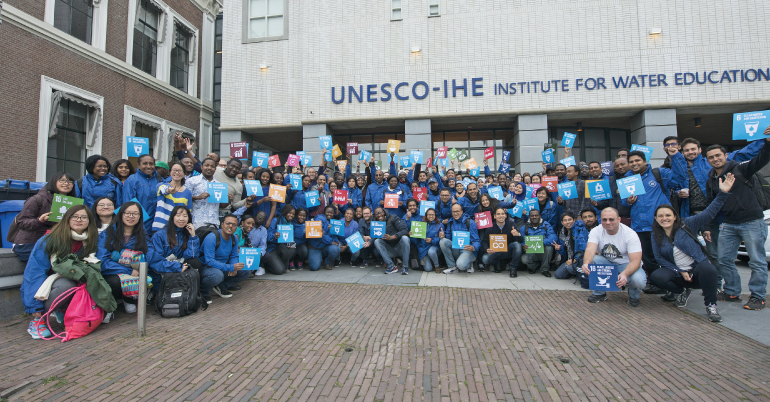 IHE Delft is the largest water education facility in the world, and the only institution in the UN system authorized to confer accredited Master of Science degrees. As a highly skilled professional, you will be a valuable resource to the club or district for potential service projects involving water and sanitation. If the Rotarians decide to sponsor your scholarship, ask them to complete the Rotary club/district portion of the application and submit it by email to [email protected], together with your resume and the IHE Delft admission letter, no later than 15 April 2019. The application must be completed electronically or typed, not handwritten.